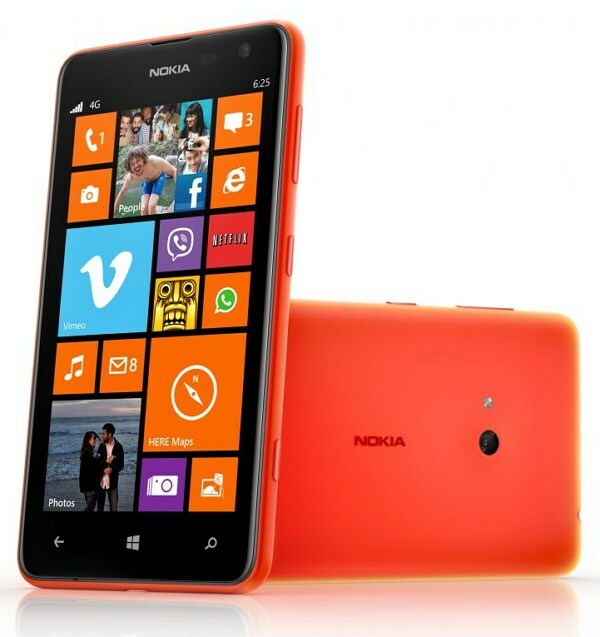 Nokia launched Lumia 625 new 4G smartphone comes with 4.7-inch super-sensitive LCD touch screen. The phone powered by 1.2GHz snapdragon dual core processor with 512 MB RAM and runs on latest Windows phone 8 operating system. The phone will be available five attractive colors including orange, yellow, bright green, white and black. The device feautres 5MP camera with Auto focus and LED flash and also it includes some camera applications like Lumia 1020 such as Nokia Smart Camera and Nokia Cinemagraph. The device packed with 8GB of internal memory and microSD card supports 64GB. And also the company offers 7GB of free Skydrive space for every user. The phone sports 2000 mAh battery that gives 6.8 hours of video playback time and 90 hours of continues music playback time for one charge. The Nokia Lumia 625 is planned to begin selling in China, Europe, Asia Pacific, India, Middle East, Africa and Latin America in Q3 2013 for price of 220 Euros.